There is a flood of new electronic and electrical devices reintroducing toxigens very similar to those in tobacco smoke, diesel fumes, asbestos and other killers. Some of these devices will sell in up to billions yearly but there has been no tracking of the big picture of imminent toxigen threat from the balance of virulence, morphology and likely prevalence of these. Something only moderately poisonous is a threat if it is widely deployed in millions yearly and has uncontrolled disposal. Small particles are more reactive and penetrating and researchers suspect that some can magnify the impact of others: small volume, big danger? Uniquely, the new IDTechEx report, Toxicigen Materials and Alternatives in Electronics/ Electrics 2018-2028 looks at all of this. This report has a timeline of planned introduction of "toxigens of concern" into electronics and electrics 2018-2028 and analyses those deployed today and those being researched in new devices. Time to pay attention. This report reveals alternatives and research leading to alternatives that are receiving insufficient attention and funding. It recommends dates for banning certain materials based on its analysis and a close watch on others but in a measured way taking into account the risks and needs of all in the value chain - manufacture, use, abuse and disposal. For example, the report proposes when two carcinogenic device chemistries should be banned given that alternatives are commercially successful. It argues that the threat will continue for 30 years without action. These materials are variously associated with birth defects, lethal HCN when burnt or ingested or cumulative multiple pathologies in humans. Raghu Das CEO of IDTechEx advises, "Toxigen cadmium has been reintroduced into daily life as quantum dots in displays and huge sales of cadmium telluride photovoltaics. Cadmium in displays will be banned in Europe from 2019 but not worldwide. The alternative is indium-based quantum dots. Toxicigen lead is also reappearing this year in the first commercialisation of perovskite windows generating electricity and new piezoelectrics, probably safely. Some researchers are preparing devices with cadmium, lead, arsenic and a host of organic and inorganic toxigens but commendably others race to replace lead in the new perovskite photovoltaics and other toxic elements in skutterudite thermoelectrics for example. We explore the fabulous green world of vehicles that make all their own electricity and go into detail on the GaAs solar bodywork used, apparently safely, to achieve this. When millions of such land vehicles, boats and aircraft are sold yearly around 2034, planned disposal may be prudent. We reveal many little known but safer alternatives for sale or in research for electrics, recommending greater priority for these. For example, you will not need toxic ruthenium in pseudocapacitors or DSSC photovoltaics any more. Goodbye beryllium and mercury. We describe gaps in the market where no affordable alternative is in sight. These are a big opportunity for industrialists." Toxigen Materials and Alternatives in Electronics/ Electrics 2018-2028 has dense summaries and infograms revealing the breadth of adoption and planned adoption of physically and chemically toxicigenic materials. The Executive Summary and Conclusions is comprehensive and sufficient in itself, identifying large sales and serious toxicity issues now and in future. See why poison measurements are suspect. 38 elements and compounds are tabled with LD50 toxicity, pathologies and devices where they are used or will be used and comments received from suppliers. The Introduction looks more closely at toxicigen short lists and multiple modes of toxic action. Chapter 3 appraises materials being used in 37 families of emerging devices, 18 families of compound. It tables where they are used or planned in volume. The chemical elements of concern in overall electronics and electrics are compared. There are tables of inorganics, organics and where they will be used indicating levels of concern. Allotropes of carbon are compared. Batteries and nanomaterials get closer analysis for reasons given. Chapter 4 looks at the adoption of physically poisonous materials that can often penetrate the human body and trigger changes leading to cancer and more. Chapter 5 goes into depth on twelve other research programs of particular promise for toxigen replacement in devices and Chapter 6 covers battery elimination, given that most batteries and their planned replacements are poisonous. Go to the Mesothelioma Cancer Alliance for more information on asbestos and mesothelioma. In the devices and materials used in our industries there are toxigens about to be banned such as cadmium in QLED television in 2019 in Europe, toxigens continuing to be used at apparently safe levels and relatively toxigen-free alternatives. 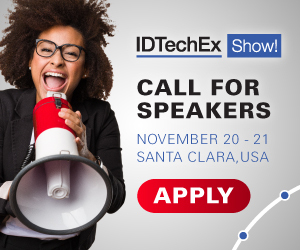 IDTechEx wishes to promote those alternatives such as indium-based QLEDs, supercapacitors unable to produce cyanide, photovoltaics without arsenic, electronic ink without volatile organic compounds VOC such as toluene, 3D printing without carcinogens. Even though these toxigens are usually at very safe levels, the alternatives make more sense as laws tighten, volumes sometimes reach billions and brand enhancement is sought. Do you have a new non-toxigen or less poisonous material or device? Do you have a new way of eliminating devices containing poisons in a circuit as with wireless building controls that do not need batteries? If so we encourage you to enter the new IDTechEx award, "Toxigen Replacement Hero". This award will be presented at the IDTechEx Show! which will take place in Berlin on 11 & 12 April, 2018 - www.IDTechEx.com/Europe. Are you a start-up or research company?